COMMENTARY — The Runnin’ Utes are off and running again with a home sweep of Cal and Stanford to push their current conference-leading win streak to five. Inconsistency earlier in the season had been somewhat of a horror film for Utah fans, including a big win over Duke in Madison Square Garden, followed by a disappointing loss to Stanford in what was a very winnable game. However, the Runnin’ Utes have found their stride with multiple happy endings in recent games to give their fans something to smile about. Utah is just one game behind conference leader Oregon and a rematch with the Ducks looms on the horizon as the Runnin’ Utes embark on a Beaver State road trip this week. In other words, Utah controls its own destiny — win this week and they will stand at the top of the conference, lose and they may get passed by the logjam of teams near the top of the conference. We are now down to single digits in conference games left — nine — and March Madness is right around the corner. It’s not too early to start thinking (OK, truthfully speaking, we are really speculating) about what might be come tournament time. Can the Runnin’ Utes replicate their appearance in the Sweet Sixteen a season ago? Where will Utah be seeded in the Big Dance? 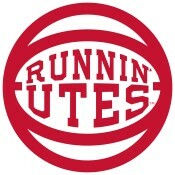 I guess we should start with whether the Runnin’ Utes are even expected to be invited to the ball. Although Utah last fell out of the rankings back in week nine of the season, they may soon find themselves back on the national radar. The Runnin’ Utes are already checking in at No. 14 in both the NCAA RPI and the ESPN RPI rankings. The real fun comes in following projected brackets. CBS Sports is currently projecting Utah as a 5 seed, playing Chattanooga. Fox Sports has the Runnin’ Utes as a 6 seed playing Monmouth. ESPN is a little less optimistic, but still has Utah as an 8 seed playing Gonzaga (but Utah’s position should be upgraded in today’s upcoming update). Am I getting ahead of myself? Yes, but isn’t that half the fun of investing yourself in any sports team, thinking (dreaming) about what that team might accomplish? Most parents engage in similar mental exercises about their young children, so why can’t sports fan indulge as well? Getting back to the present and reality, the Runnin’ Utes play the Beavers on Thursday, tipping off at 9 pm MT on ESPN2, followed by a Sunday matchup with the Ducks which will also be televised on ESPN2 at 2 pm MT. The Red Rocks also have two meets this week, hosting Arizona on The Hill tonight at 6 pm MT, and then traveling to Los Angeles for a Saturday matinee against UCLA at 2 pm MT. Unfortunately, Utah has lost Kari Lee with a season-ending tear to her left Achilles tendon suffered in practice last week. Lee was a three-time All-American and NCAA event finalist last year as a freshman, and the team’s only all-arounder in the first three meets this season. An already young squad just got younger. Even before Lee’s injury, significant shuffling in the line-ups had been expected, with the biggest shake up occurring in the floor exercise. While the door to Lee’s season has closed, another door has opened up additional possibilities for the other talented ladies on The Hill. The Red Rocks also have another problem — too many fans showing up for home meets. This is a problem most teams wish they had, regardless of the sport or gender of the athletes. Long lines of fans waiting for the doors of the Huntsman Center to open have been common sites at home meets. Tonight’s home meet is expected to be another capacity crowd, including fans who were turned away from the last home meet, but given tickets to tonight’s meet as a consolation prize. 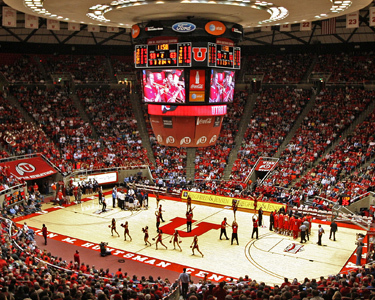 Here’s hoping the Red Rocks continue to deliver for their devoted fans at tonight’s meet, and the Runnin’ Utes can move to the head of the class with big road wins over Oregon State and Oregon this week. Bleeding Red is a sports column written by Dwayne Vance. The opinions expressed do not necessarily represent those of St. George News.